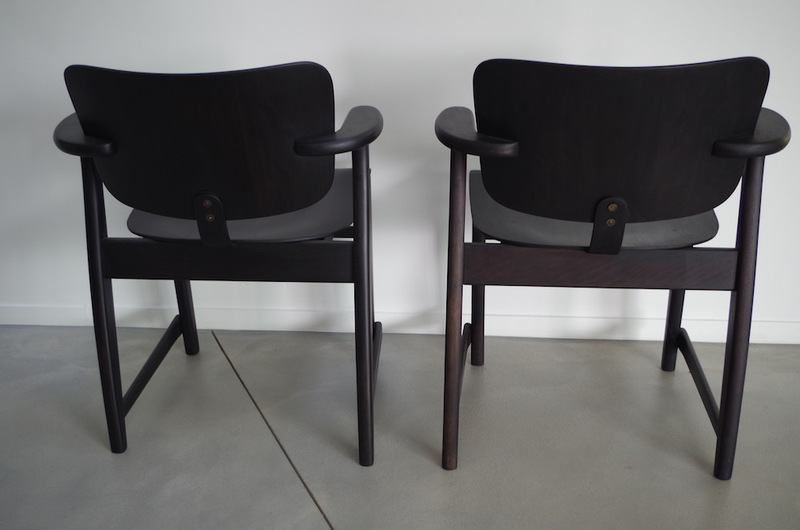 Magnificent set of Domus chairs by Ilmari Tapiovaara. 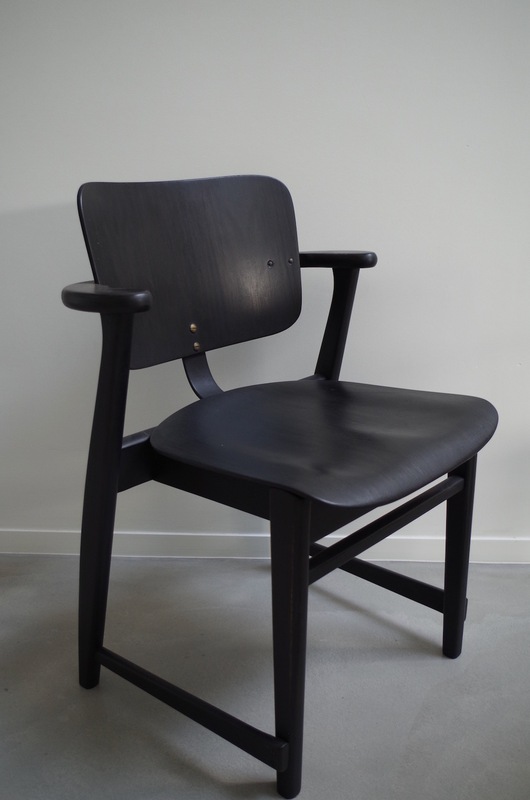 Tapiovaara (1914-1999) was a Finnish designer . 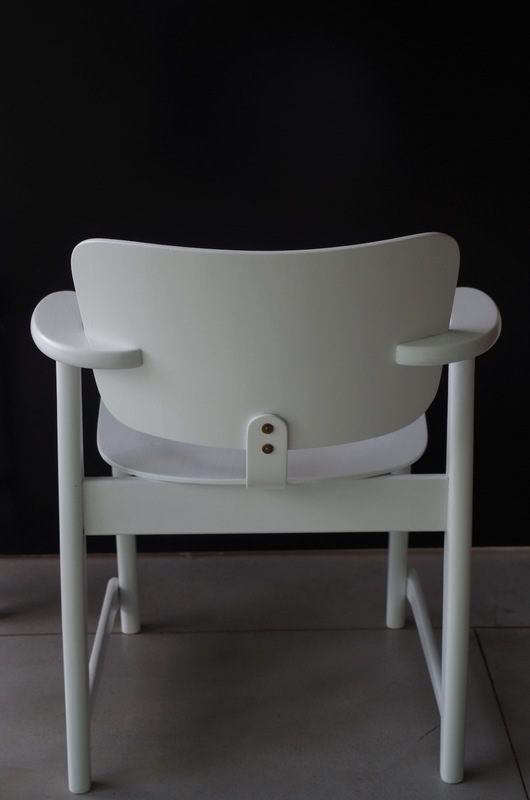 He worked for Alvar Aalto and later as assistant to Le Corbusier. 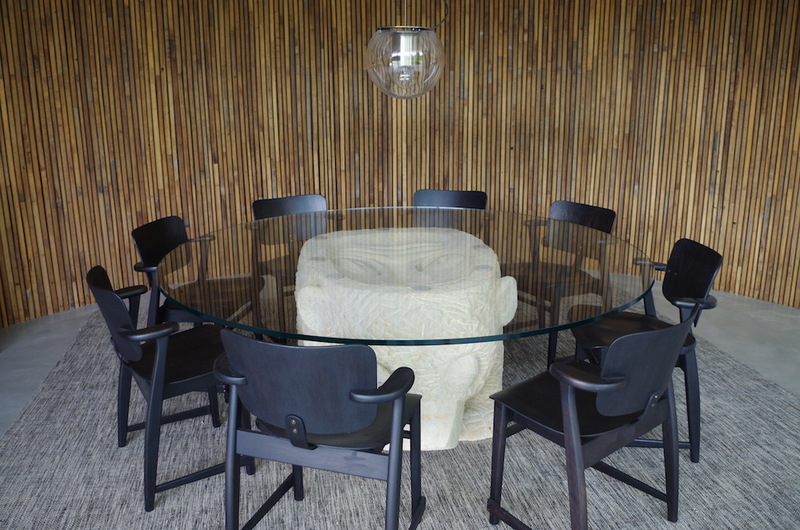 He is known internationally for his furniture, lightning and fabrics which he designed with his wife. 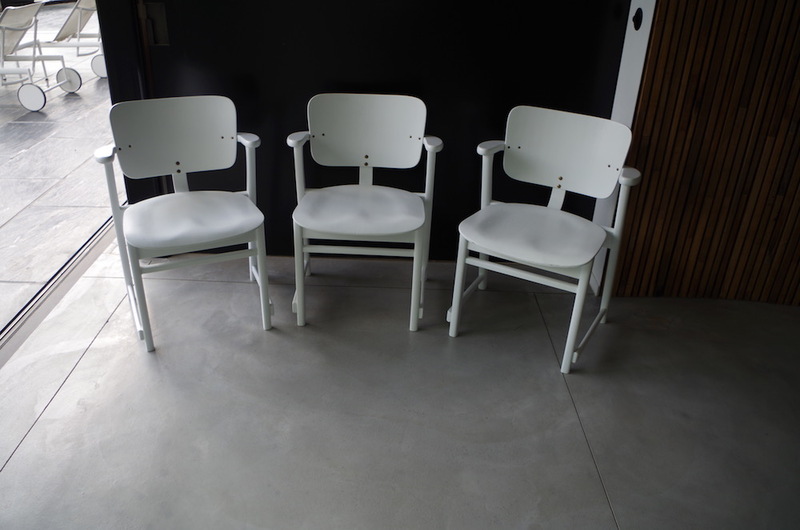 The Domus chairs were designed in 1946 and the objective was to design a multipurpose chair both for dining and studying. 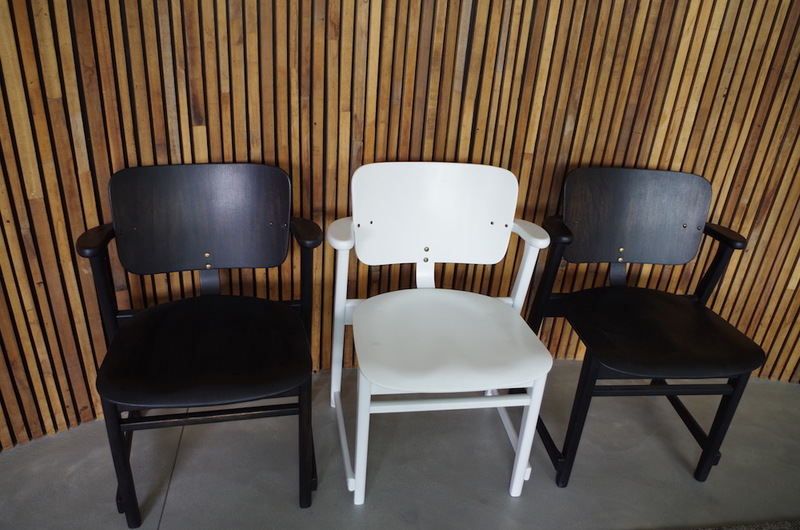 First used in a student housing complex in Helsinki and later on in cafetarias and auditoriums. 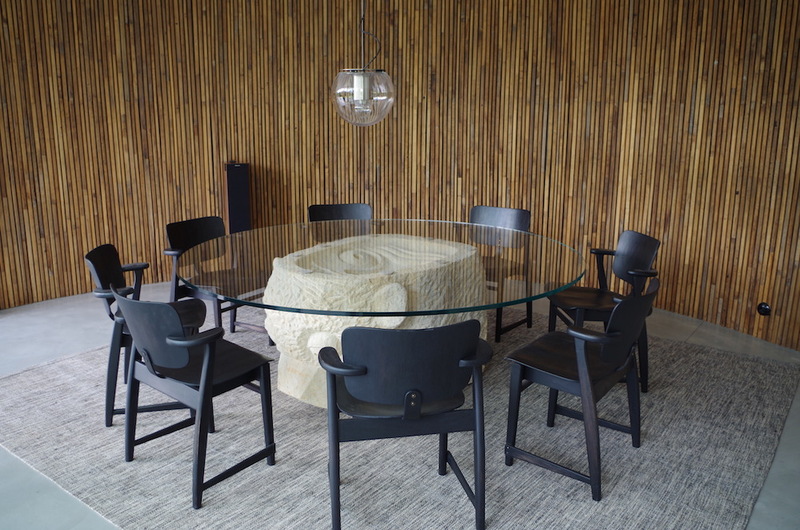 They reached success on an international level because during the fifities they were prized with two designer's awards, and so they were produced for private purpose too. 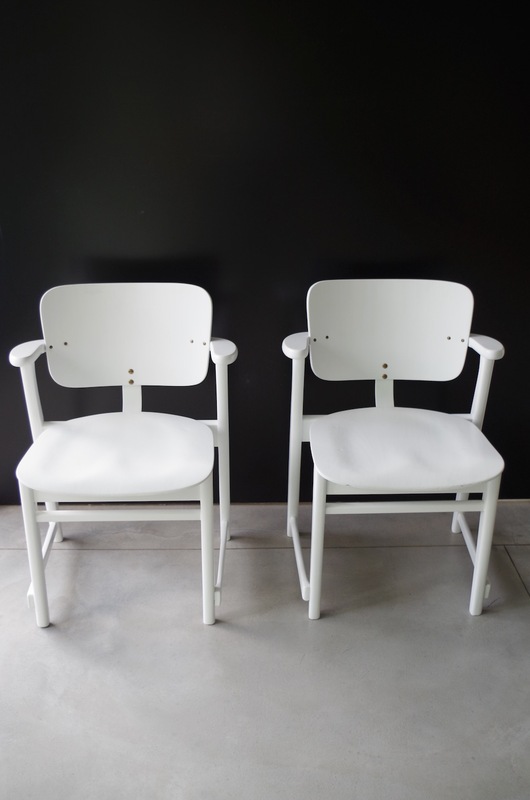 Artek started producing these again as from 2010 but this set dates from before. 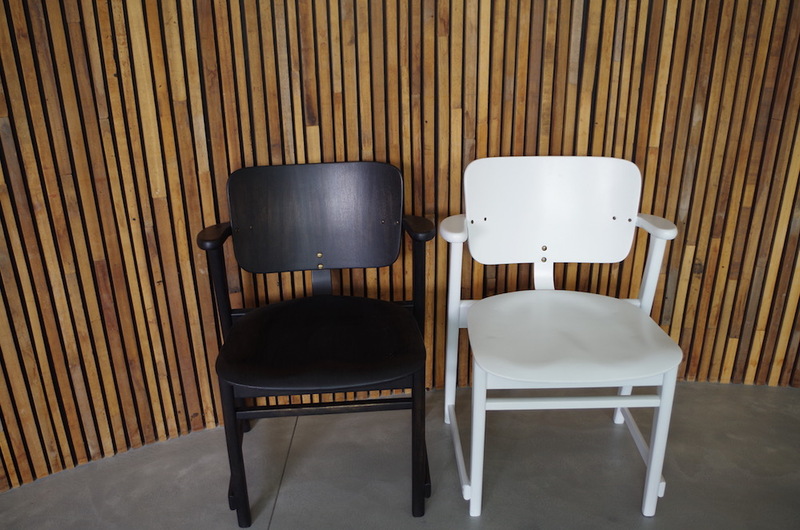 The set was originally brown wood but the chairs have been painted in black and some white. The result is very surprising because the painting looks as if it's old. 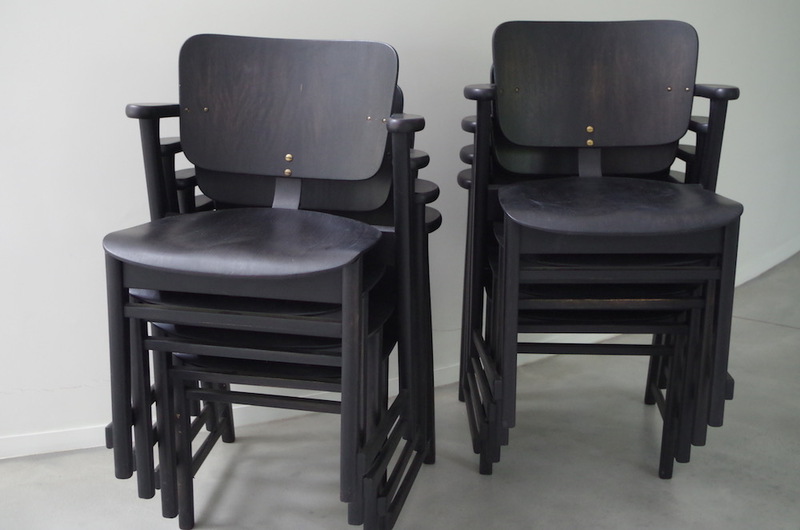 They have been used for a while so the black paint already has a beginning of a very nice patina. 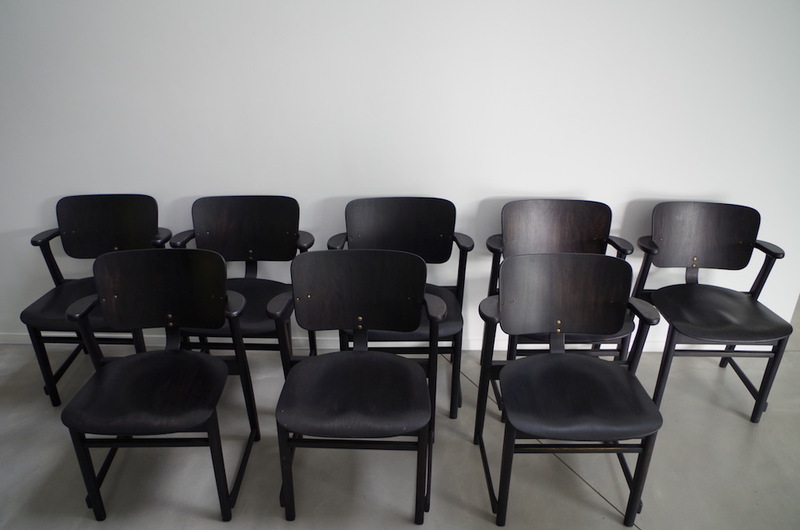 The set is composed of 8 black and 3 white chairs. 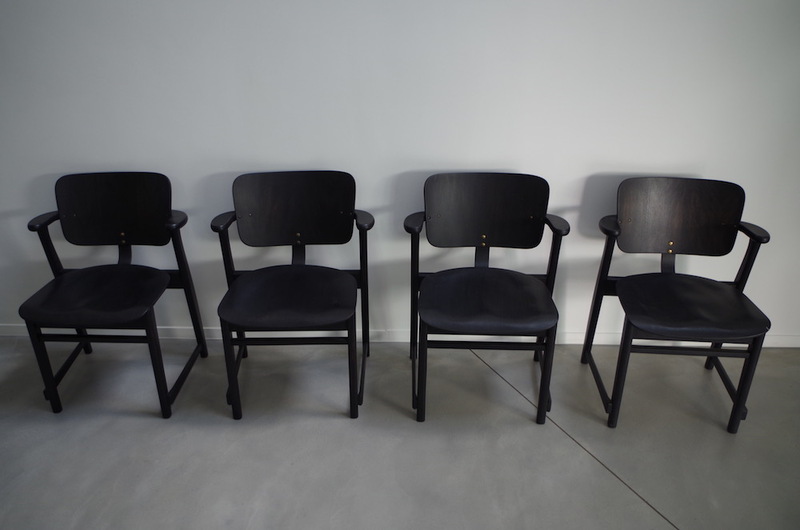 They all have short armrests and are in very good condition. 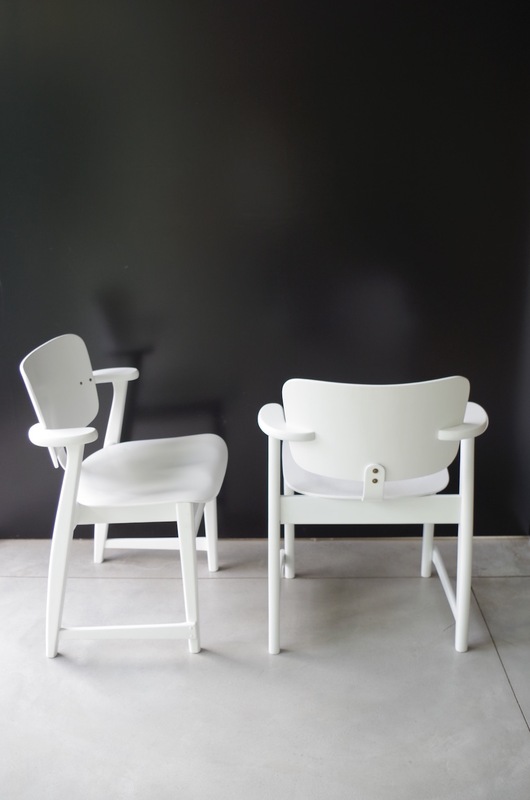 The practical thing about the Domus chairs is that they're stackable as shown on the pictures.